The Taste of Pikes Peak is this weekend at the Broadmoor World Arena! GET YOUR TICKETS NOW! The new Ronald McDonald House in Colorado Springs is a $10 million dollar, 25,000 square foot haven for families with sick children. $1 million still needed to finish the project and you can help! Mike Lewis, executive director, Beth Allessio, and board member, Darrell Fleck, have all the details. If you love air shows, get ready! The Pikes Peak Regional Air Show returns to Colorado Springs September 21-22! Mike Lewis talks with air show spokesman, John Henry, about this year's event, the main attraction and how to get your tickets at a discount now! 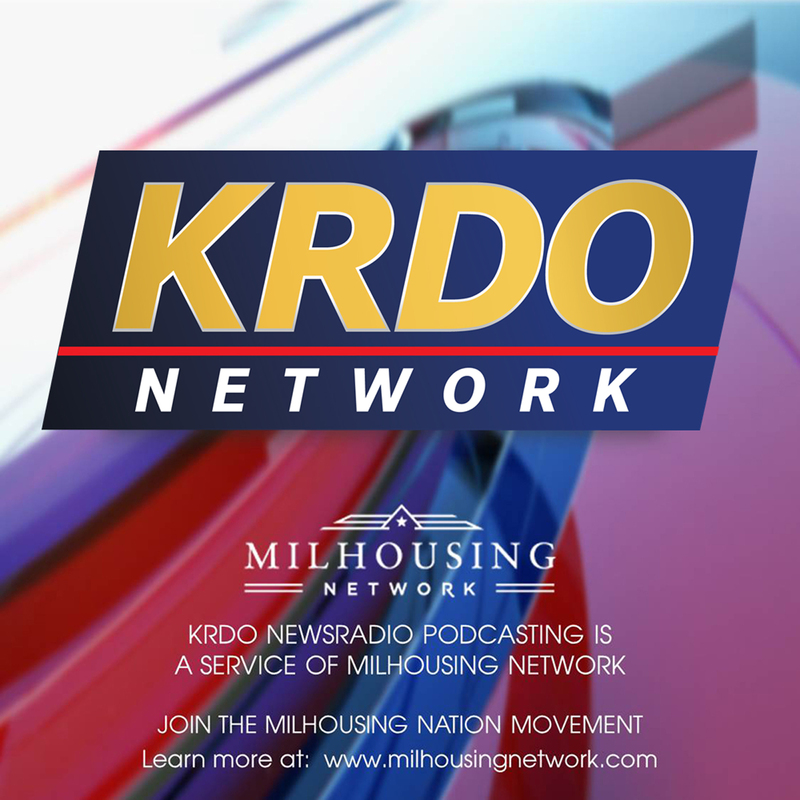 KRDO's Mike Lewis talks with Stephanie Edwards of Gold Hill Mesa. GHM's art and concert series is ready for launch and it's going to be an extra big, extra fun summer! Your property values are increasing and with that, your tax bills. Sticker shock coming for some homeowners and County Assessor, Steve Schlieker wants you to understand the valuation process. Renae Roberts visits with Dr. Renata Prado of Vanguard Skin Specialists. Skin cancer is a huge problem for Americans. Vanguard uses a method of treating skin cancer that offers a high cure rate. Watch now! Mike Lewis talks with Mike Ware and Cheryl Law, both executive directors of El Paso County Medical Society and Pueblo County Medical Society respectively, about physician burnout and suicide. Increasing micromanagement and patient self-diagnosis based on information they find on-line are two main factors. How much does this affect your doctor and your treatment as a patient? Mike Lewis talks with Devra Ashby, APR, Public Information Officer for School District 11. Dr. Michael Thomas recently joined the district as Superintendent of Schools. He is working to develop a new strategic plan, vision and mission with input from all quarters of the community. Additionally, he is forging new relationships within the business community. His objective in part is to gather information relative to how the District can best help to meet the region's work force needs. Mike Lewis talks with Lindsey Litton, founder of Milhousing Nation, and Paul Price of Mt. Carmel Veteran's Service Center about the upcoming National Milspouse Career Summit. The summit takes place Thursday, March 14, 1:00-2:00 PM MDT, originating from Mt. Carmel and broadcast via Facebook live video streaming. Mike Lewis will emcee. Mike Lewis talks with Barbara Swiatek, retirement planner and host of Retire Financially Fit heard on the KRDO Network Saturday afternoons at 1:00. Are you financially ready to retire? Will your money outlive you or you it? Barbara has the answers. Join Barbara Swiatek for Retire Financially Fit at her new time Saturday afternoons at 1:00 on the KRDO Network at 105.5 FM, 1240 AM and 92.5 FM. Mike Lewis talks with Paul Meyers-Bennett, VP of Marketing and Events for the BBB of Southern Colorado about the 3rd annual Prism Awards. Business who have a positive social impact on the community from across the state are finalists. Watch now. Get the full details here. Mike Lewis talks with Dr. Mary Verity, owner of Comprehensive Medical Weight Loss. Mike Lewis talks with Tiffany Lachnidt, Team Leader of The Distinctive Group at Keller Williams Premier Realty. A pending initiative in a northern Colorado city could have a drastic effect on the real estate market. If passed, it would severely limit residential building, driving home prices up. Will voters pass the initiative? Could it happen in the Pikes Peak region? Watch now! 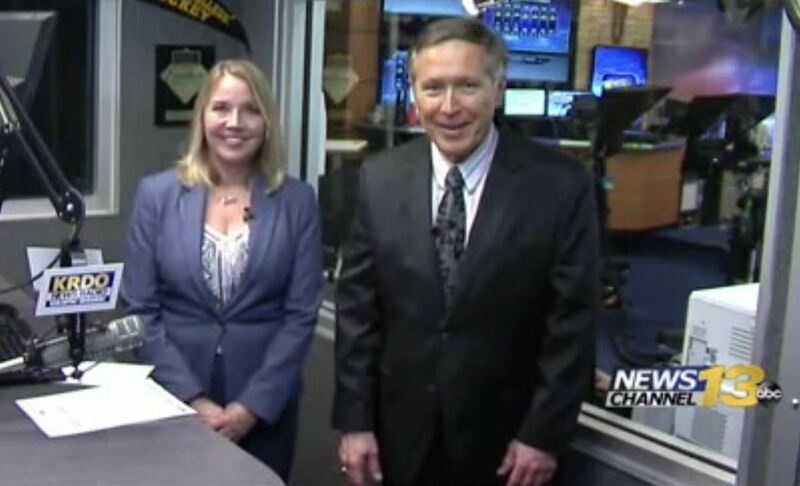 Mike Lewis talks with Antonio Briceno and Lynda Cink about the upcoming Galaxyfest, a pop culture weekend full of fun! Mike Lewis talks with Kathleen Fox, President at Payroll City, about new regulations in effect now and a new form coming in 2020! A mass tort litigation is under way across the country with local connections. Colorado Springs based Sanders Law Firm is representing women who have been harmed by the Essure implanted medical device made by Bayer corporation designed to prevent pregnancy. If you've had this device installed and you're experiencing migraines, bleeding, pain and other symptoms, you might be affected. Mike Lewis visits with Scott Holisky, General Manager of zTrip in Colorado Springs. Holiday party season is here and the launch of zTrip's new app makes it easier than ever to get home safely. Holisky noted that in October when you download and book your ride from the app, enter the code 'Spooky18'. You'll save $10 on your ride and avoid the fiightening experience of getting a DUI. Mike Lewis talks with Dr. Michael Barber of Strata Integrated Wellness Spa at Garden of the Gods. A new concept in integrated wellness combines physician guided care with spa services to treat the mind, body and spirit. 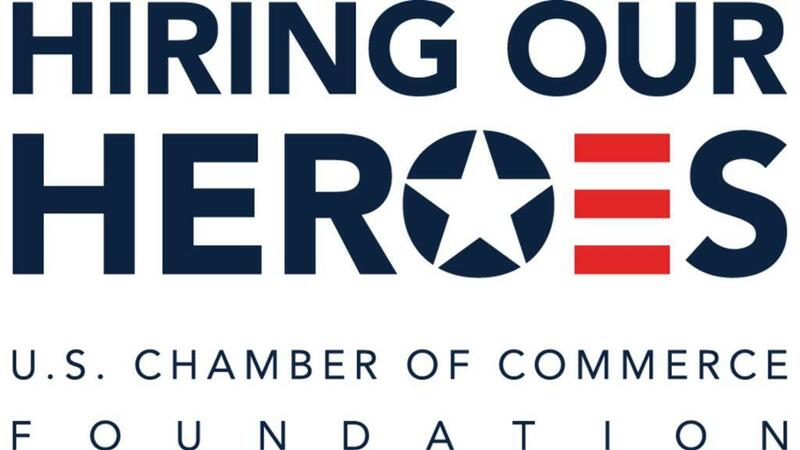 Renae Roberts talks with Hiring our Heroes' Lindsay Teplesky about an upcoming military spouse hiring event. 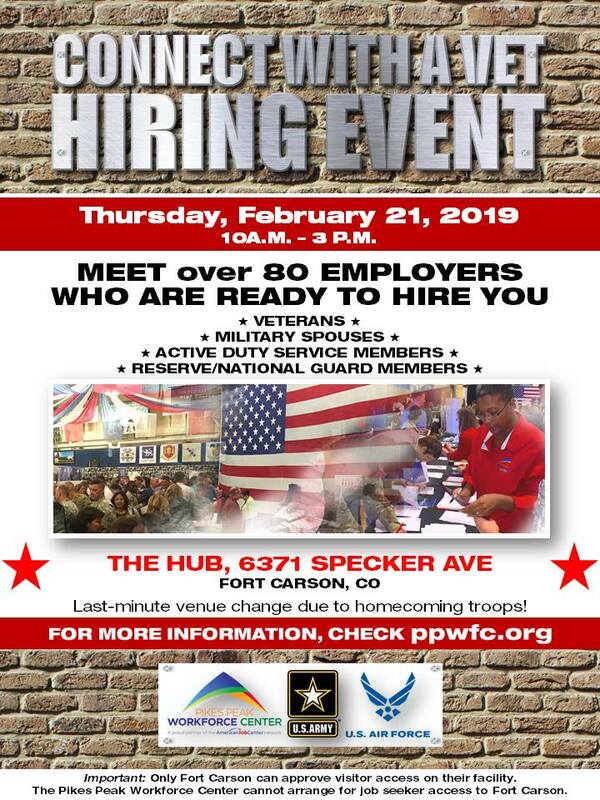 Employers are encouraged to register and attend. It's free! Mike Lewis talks with Justin Hermes of the Hermes Team about their upcoming fundraiser to support first responders. If you have loose change, bring it to Pioneers Museum and help fill a pickup truck full! Watch the video for all the details! Gina Caughey, the owner of A Call to Order Professional Organizers talks about the Move for Hunger campaign to collect food donations during the critical summer months.